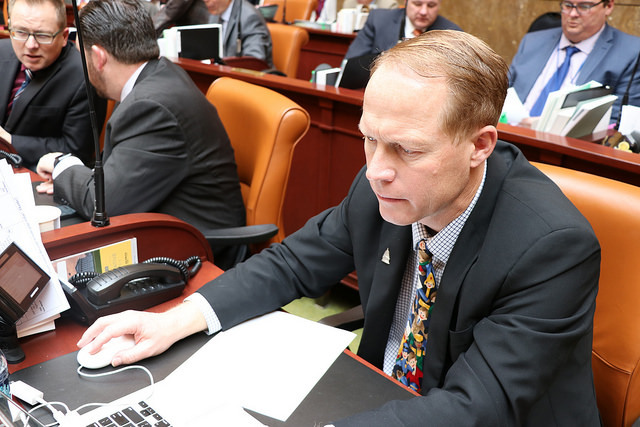 The 2018 General Session of the Utah State Legislature began on Monday, January 22. Thank you so much for all of your support. It is an honor to represent the great residents of District 61. The first three weeks of the Legislative session is spent reviewing the State’s budget. I am the Co-Chair of Higher Education Appropriations. We examine the outcomes of each of the state’s public institutions and help prioritize building projects for each school. I have been a strong advocate for UVU during my tenure and have worked to ensure the student’s get their fair share of subsidies. 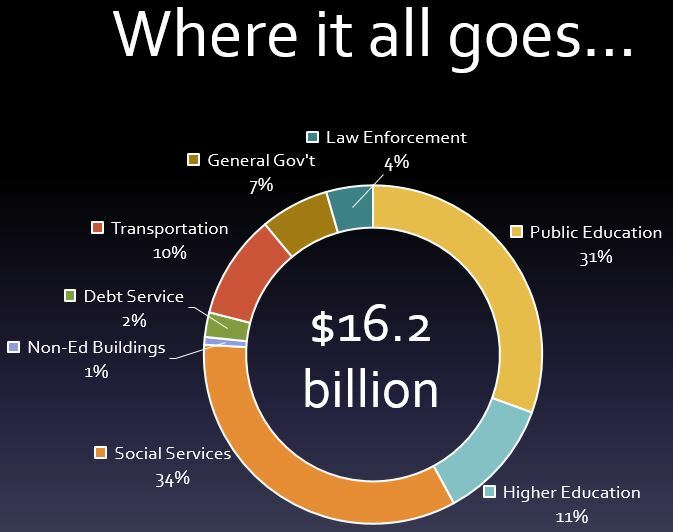 Here’s a snapshot of the overall budget from last year’s Session. This past week we had visits from some of our Congressional delegation. It was great to hear from Representative John Curtis and the work he has already done since taking office. 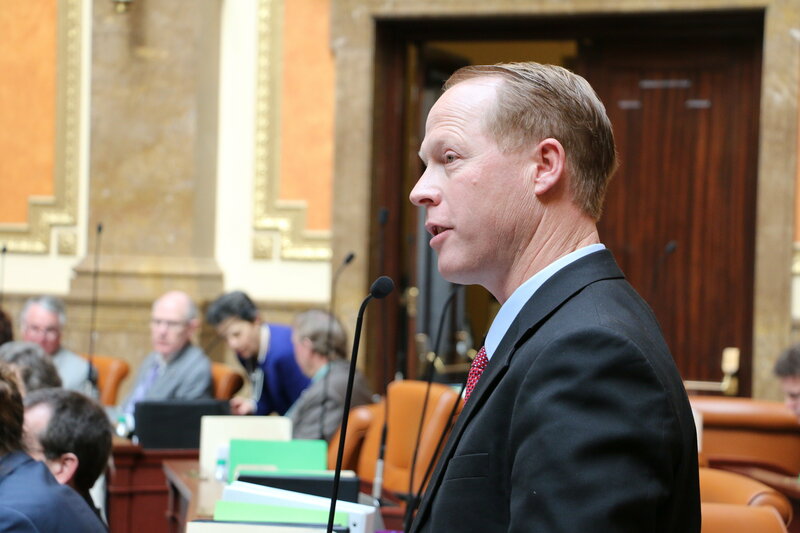 Chief Justice Matthew Durrant spoke to House members about how proud he is of the fact that justice in Utah is not hidden away, but “shines as a bright beacon.” He mentioned how court participants recognize that they are treated with respect and fairness. He thanked the Legislature for their efforts to address homelessness, and Speaker Hughes specifically for his work on Operation Rio Grande. Prescription Drug Prices Prescription drug prices are on the rise and the Legislature is considering a bill that aims to help reduce costs for Utahns. The goal of HB 163, Prescription Drug Importation Program, is to implement a state-run program that will create a safe, cost-effective, wholesale import for a select group of prescriptions but does not include importation of narcotics or opioids. The United States pays considerably more than other major purchasers for prescription drugs even though we are one of the largest consumers. On average, Canadians pay 30 percent less for prescriptions than we do in the U.S. It is time for Utah to explore ways to reduce these costs. The Office of the Legislative Fiscal Analyst estimates that private-sector-funded health insurance plans could save around $100 million a year from reduced spending on prescriptions. Safety and purity of imported prescription drugs is a concern of many critics. This bill requires the Department of Health to design a program that would then need approval by the Secretary of the U.S. Department of Health and Human Services prior to implementation, which would ensure all safety concerns are adequately addressed. As a country, we already rely heavily on importation of both raw ingredients and finished product. Eighty percent of raw materials for drugs made in the U.S. are imported, while about 40 percent of finished drugs used here are manufactured elsewhere. For years, the U.S. Food and Drug Administration (FDA) has had a cooperative agreement addressing regulatory matters with Canada and more than 30 Canadian drug manufacturers are FDA-registered to produce for U.S. markets. Additionally, about 20 percent of pharmaceuticals licensed for the Canadian market are made in the U.S. This is not new ground. The Utah Hospital Association, SelectHealth and Regence BlueCross BlueShield of Utah are in support of this legislation This bill allows for lower priced pharmaceutical options, while also containing checks to provide for the safety and protection of the residents of our state. Blood Testing Amendments You may remember the University of Utah Hospital nurse, Alex Wubbels, who was arrested last year when she refused to allow an officer to obtain a blood sample from an unconscious patient without a warrant. 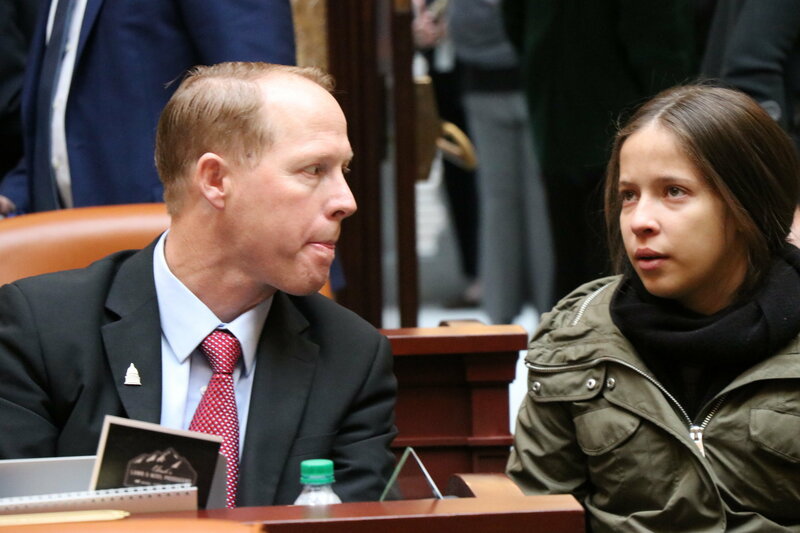 The Utah House passed a bill, HB 43 Blood Testing Amendments, to help avoid the overly-aggressive behavior manifest in this incident from happening again. The proposed legislation clarifies that an officer must obtain a warrant to draw blood from a person unless they receive verbal or written consent from said person. The bill passed the House 72-0 and is now being considered by the Senate. Below are the results of my 2018 Legislative Survey. Thank you to those who responded.